After five entries of sandwiches from Hawaii, it seemed difficult at first to find a good sandwich to mark my return to Los Angeles based sandwiches. How could I find something so good here, in LA that would be able to put my memories of my time in the 50th state behind me for the time being so that I may impartially judge a sandwich here. Such is the hard life of a sandwichologist. Taking away the great responsibility of picking a place though, my former roommate Ross suggested we meet at Langer’s Delicatessen for a belated birthday lunch. Only a one block walk from a Red Line Metro Station (yes we have a Metro system), I approached what would soon turn out to be a momentous occasion on a beautiful Saturday afternoon. Stepping inside this Los Angeles institution, one is transported back in time. The interior hasn’t been updated in what seems like quite some time but it absolutely adds to the charm of the place. The warm and welcoming staff don’t hurt either. The experience of Langer’s reminds me very much of many of the East Coast diners I’ve been to, and I mean that as a statement of high compliment. While at times the lines to get into Langer’s can be exceptionally long, and the fact that they close at 4pm, this is a great place to order a sandwich, have a drink and soak in the history and homeliness of a fantastic dining establishment. But you’re here to find out if their sandwiches are any good, right? You want to know if it’s possible that all the talk about Langer’s pastrami or corned beef sandwiches are really worth the hype. Take it from me, it is not hype at all. It is honest truth. 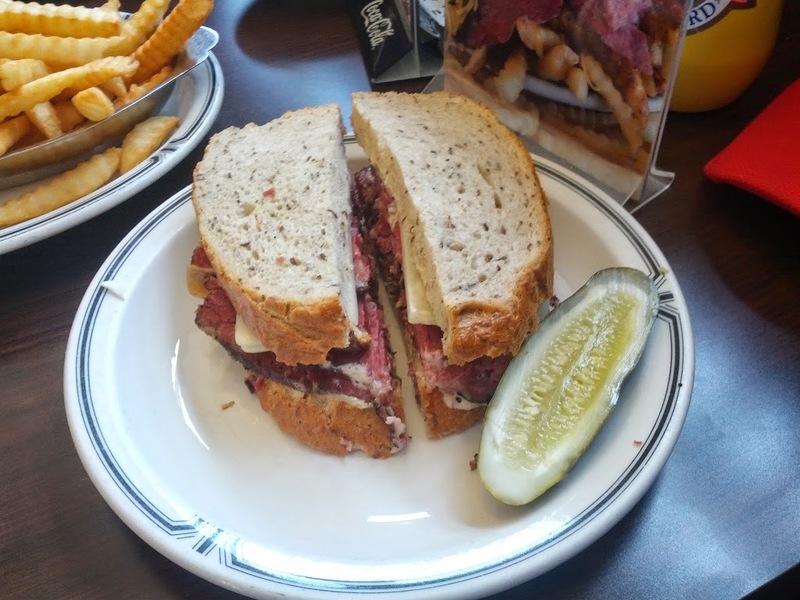 Langer’s is known for their #19, a pastrami, Swiss cheese, cole slaw, and Russian Dressing affair. I had considered going with this, but I am not always a fan of the cold cole slaw contrast with the warm pastrami and so did the #19 without cole slaw. The pastrami was delicious. 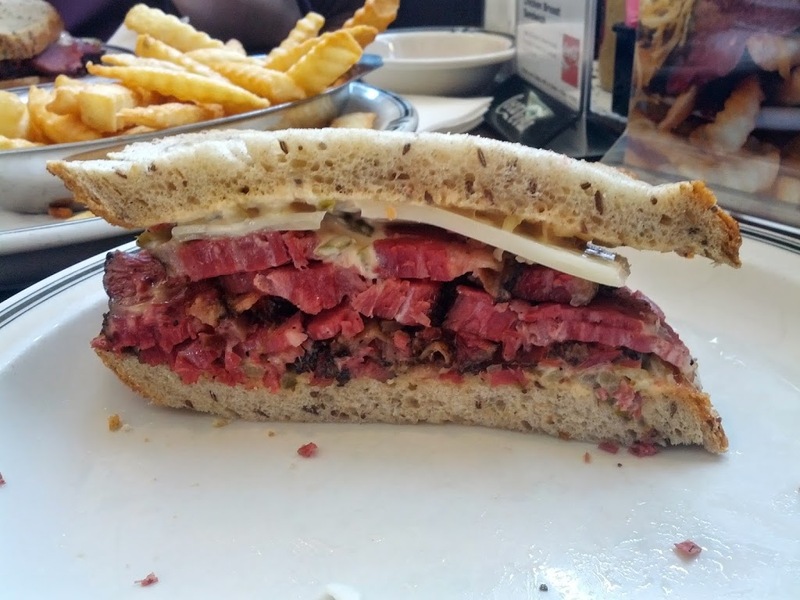 Thick, tender cuts stacked high between two slices of rye bread, it’s obvious why their pastrami is so famous. Smoky cuts combined with the smoky melted Swiss and a bit of tang and sweetness from the Russian dressing, this sandwich is a great excuse to take Metro and meet a friend for lunch. It’s simple and straightforward. This sandwich doesn’t need flashy ingredients to make it stand out. 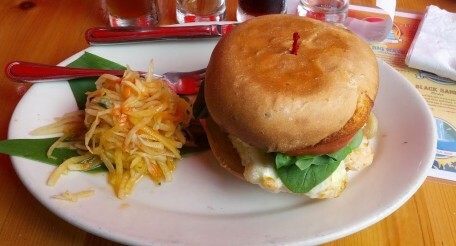 And compared to the other pastrami sandwiches I’ve had, this one is top notch, conversation or not. If you live here or are just visiting, make sure this is the stop you make if you’re looking for great pastrami.